Described as the ‘cradle of international shipping experts’, it is easy to see why Shanghai Maritime University (SMU) should have become a key partner for Plymouth over the past six years. With 20,000 students and around 120 academic programmes across engineering, management, economics, law, liberal arts, and science, SMU is now a global player in the sector – and one that offers Plymouth students the chance to enjoy an international experience. Every year, around 50 undergraduates (including those from partner colleges) fly out to China for a summer school in the world’s biggest city by population. With SMU students travelling to Plymouth in return, it’s an arrangement focused upon cultural exchange and adding more than a dash of internationalisation to the student experience. The partnership is based on a Memorandum of Understanding signed in 2009, and rooted in the networking of Jingjing Xu, Professor of Maritime Law and Economics. Jingjing, Associate Dean for Research in the Faculty of Business, is a graduate of SMU (and a visiting professor) and recognised the mutual benefits of helping to arrange a meeting of maritime minds. Around 20 students from SMU enrol on Plymouth courses and programmes every year, with many coming on the three-plus-one undergraduate arrangement and then staying to enrol as a postgraduate student. Launched in August 2011, the summer school initially saw nearly 60 SMU students fly to the South West for a month-long programme. The following year, it became reciprocal, and this year, 130 students are swapping places for a programme based around language learning, cultural exchange and broadening understanding of societal and economic issues. The universities fund the cost of the trip for their students, with the exception of the flights, and Plymouth provides lessons in Mandarin to prepare the chosen students for the experience. For some, it is a voyage of discovery. Interim Vice-Chancellor Professor David Coslett recently accompanied the International Office on a visit to SMU, and met the leadership team – including Vice-President Professor Yongxing Jin, whose daughter studied at Plymouth. 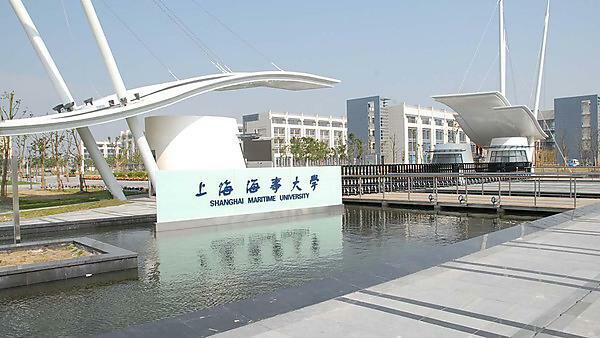 With its stunning campus, complete with an aquatic training centre, a ship simulator that dwarfs our own, and a 10,000-tonne container ship for teaching and internship training, SMU has travelled a long way since it was founded in 1909 as the Shipping Section of Shanghai Industrial College. And its progress is being followed keenly from these shores. Professor Jingjing Xu was recently involved in the visit to Plymouth of the Secretary General of the International Maritime Organization – Mr Koji Sekimizu. Mr Sekimizu received a tour of the Marine Building and met with senior leaders to discuss education and training issues. On the back of this, Jingjing has been invited to address the IMO’s World Maritime Day Symposium in September.